Google search offers so much more precision, nuance and power if you know how to use Boolean commands. If you’re a recruiter, the most effective way to source good job candidates on Google is to incorporate Boolean search operators into your search engine sourcing strategy. In a 3-part series, we are going to share with you insights on how Google+ can be a powerful sourcing pool, coupled with Google search basics and how one can use them. 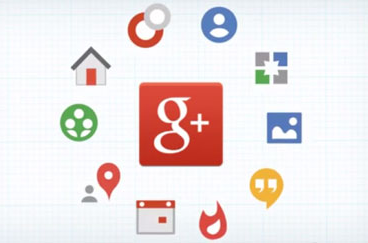 Back in 2011, Google+ wasn’t a ghost town, but it wasn’t exactly well populated. Google+ now has over 2.2B profiles, 500M+ of them actively using Google+ features, and 135M+ people are active in the Google+ stream, solidly positioning Google+ in the upper tier of the “Big 4” social recruiting sites (Facebook, LinkedIn, Google+, Twitter). The profiles are accessed directly by simply typing in the query. For eg: typing “software engineer” ”new york” “google” in the search bar will yield software engineers from New York who work in Google but there are some limitations. It displays the profiles that contain the keyword New York, not necessarily ones who are “living” in New York. The location of the candidate cannot be confirmed completely using only this technique. The main limitation of the built in search function is restricting the profiles to a keyword search rather than those with a locational constraint of what was being searched for. This is overcome using X-ray search in Google. FindPeopleonPlus has only indexed around 32M users, which is a small portion of the total population of Google+ users. FindPeopleonPlus does have some great functionalities – you can search for/sort people by gender (diversity sourcing! ), education (specific university), employer, occupation, state, and city. Although FindPeopleonPlus does support basic Boolean logic for keywords, it doesn’t allow the use of Boolean logic to simultaneously search across a number of employers or by occupations/titles. You can X-ray search Google+ by using Boolean search method. It helps to retrieve the profiles by location, and based on our requirements. Using these keywords helps in obtaining profiles pertaining to the corresponding location. We can eliminate unwanted results using ”–“ operand.